Trillions of plastic pieces in oceans new study finds. 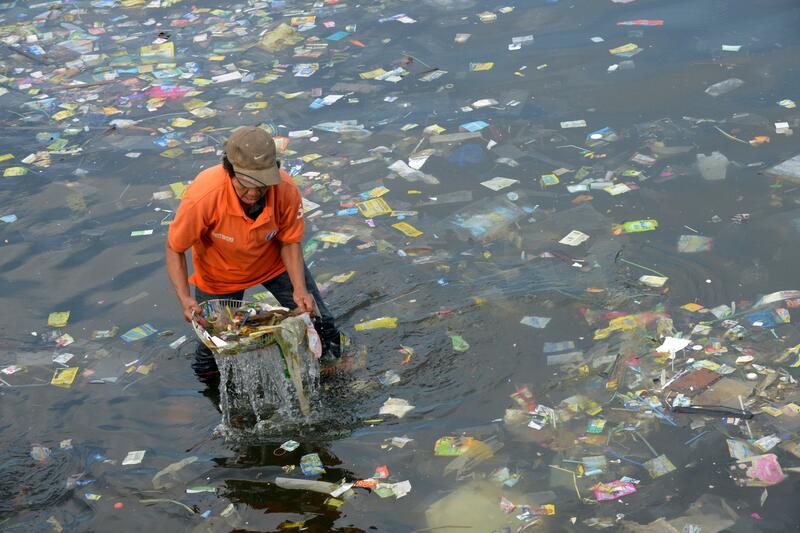 Plastic bags and other trash are collected from the waters of Manila Bay in July 2014. If the specter of climate change wasn’t enough to get you down, here’s another gnarly bit of environmental news: A new report published on Wednesday estimates there are now 5 trillion pieces of plastic polluting the world’s oceans. That amounts to some 269,000 tons of plastic debris, according to the study published in PLOS One journal. To put it more simply, the Washington Post crunched the numbers and found 5 trillion bits of debris roughly equates to 700 pieces of marine-based plastic for every individual on earth. The greatest bulk of plastic comes from fishing nets and buoys, according to Marcus Eriksen, one of the study’s authors.